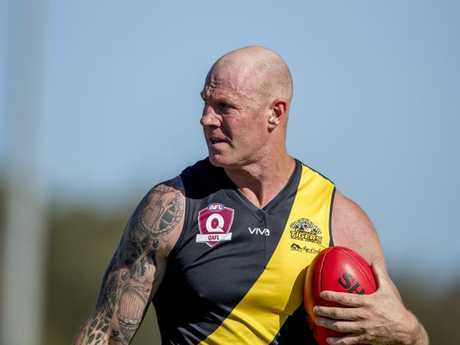 BARRY Hall became a giant punching bag for Australia this year after he made vulgar comments about the wife of a former AFL star during a live radio broadcast. But he's also been a victim in the whole affair, he told Channel 9 in a teaser released by the network for an episode of 60 Minutes going to air on Sunday. That episode is about the "age of outrage" and promises to "make your blood boil". Hall - nicknamed Big Bad Bustling Barry - was sacked by Triple M with immediate effect during a Friday night broadcast in late June after making the offensive comments about the pregnant wife of ex-St Kilda player Leigh Montagna, who was also calling the Western Bulldogs' clash with Geelong. 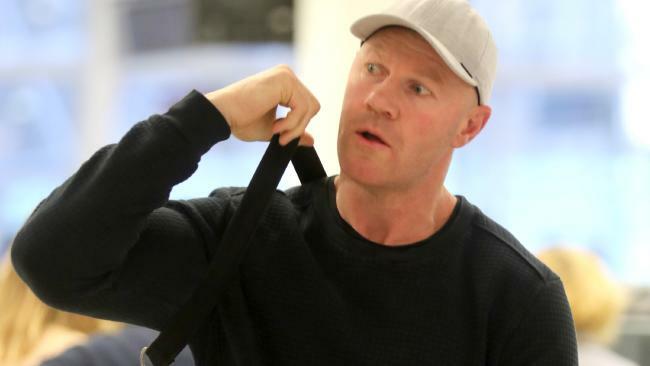 Former Sydney Swans premiership captain Hall was discussing a technique used by medical professionals, known as a "membrane sweep" - which Montagna's wife Erin underwent to induce labour. Hall insinuated the doctor acted in a sexually inappropriate way. He was sacked and widely condemned for his remarks, and while Hall admitted what he said was "inappropriate", he also said his family - including wife Lauren Brant and son Miller - had been left stranded financially. "It was a bit unrehearsed. It was an off-the-cuff comment that was inappropriate for air. It shouldn't have been on radio, 100 per cent," Hall tells Channel 9 in the 60 Minutes trailer. "The thing is, as I've said, we've got no income now and there's no real light at the end of the tunnel of when that will change or when that will be. There was little sympathy for Hall in the aftermath of his sacking, which sparked debate not just about his individual comments but about the blokey culture in sport and Australia more broadly. Broadcaster Meshel Laurie penned an open letter to Hall, imploring him to understand why what he thought was a joke was actually an offensive reference to sexual abuse. Hall didn’t realise how big a mistake he’d made. However, Hall's wife Brant, a former member of children's music group Hi-5, leapt to her husband's defence, refuting claims there was anything sinister behind his misjudged comments. "My usual approach towards media attention is to keep quite (sic), however I cannot do that this time round, because what is happening to my family is not ok," Brant said in a lengthy Instagram post. "Barry was involved in a silly conversation on air where he made a stupid comment. "What I cannot accept, is that he as a person is now being held as an example of what is wrong with this country in terms of its attitude towards women. "He has lost his job because of it, our son and myself are being attacked (which is a whole other conversation, because how is verbally abusing a woman and innocent child an accepted response to someone being accused of being disrespectful to women?) and is getting labelled as something he is not."